The concerned, professional staff at Dr. Movassaghi’s office are skilled, knowledgeable and trained in the latest advances in Plastic Surgery. All of the staff—the Receptionists, Patient Coordinator, the Aestheticians, and the Nursing Staff—are here to assist you and make you feel comfortable. The entire staff’s role is to make your plastic surgery experience a positive one; not only to prepare you for surgery and to take care of you during and after your procedure, but also to answer your questions and address your concerns. Our staff supports the Susan G. Komen Foundation’s efforts to cure breast cancer through participation in the Race for the Cure. Jill is our practice receptionist. She comes to us with 12 years of front office experience in the Internal Medicine and Primary Care settings. She finds working in the Plastic Surgery setting an invigorating change, and is excited to be one of the first contacts to welcome our patients as they embark on their aesthetic journey. Theresa is our Patient Coordinator at Movassaghi Plastic Surgery. 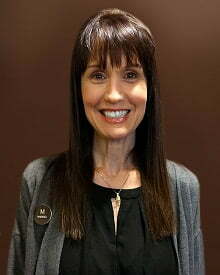 She has over 20 years of experience working in plastic surgery and dermatology, and she enjoys meeting patients and helping them along their aesthetic surgery journey. Outside the office, Theresa enjoys camping, gardening, spending time with family, and cheering on the Oregon Ducks with her husband. Casey is our Clinical Aesthetician and comes to our office with eleven years of experience in the skincare field. 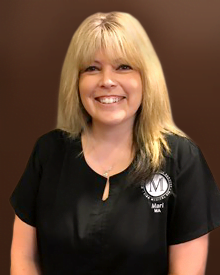 She is passionate about providing high quality service and in helping our patients with a skincare regimen that will keep their skin protected and in optimum health. 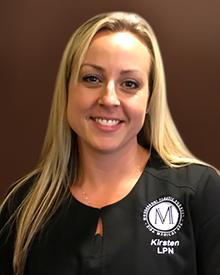 Kirsten, our LPN/Aesthetician, enjoys making a connection with each patient and being a part of their aesthetic journey from start to finish. She loves to garden, ride her horses and most of all she loves being a mother to her two boys. 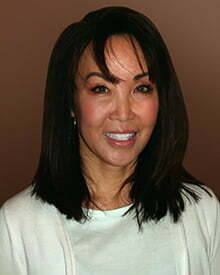 Mari, our Medical Assistant, has 23+ years of experience working in plastic surgery and dermatology. She loves helping patients find the right treatments for their needs and seeing their confidence grow as they meet their aesthetic goals. Mari worked with Dr. Movassaghi earlier in her career and is excited to be back with our team. Mari enjoys hiking, fishing, and being outdoors with family and friends. Karen is our Nurse Injector. A graduate of the UCLA School of Nursing, she has over 8 years of experience specializing in aesthetic injections, plus many years of experience as a surgical nurse. A mother of twins and breast cancer survivor, Karen brings to our practice a passion for helping patients look and feel beautiful, which shows in her skillful, artistic approach. Jenny is our patient liaison. She has 20 years of experience in the medical field and is always available to answer your questions. Niloo is our Practice Administrator and Office Manager. After working for ten years for an Investment Bank on Wall Street in Institutional Equity Sales, she turned her focus to the medical field and plastic surgery. She is very knowledgeable about our procedures and practice.